5 Ways to Help someone who is Chronically Ill | What is Lyme Disease? 1. Just Listen~ Don’t try to find a solution. Most likely someone who is ill has researched and already found the obvious treatments. They just need to be able to open up about their feelings without feeling like someone is judging them for feeling sad, angry or scared. 2. Just do it, don’t ask~ If you stop by and see there are dishes in the sink, of course it will help if you do them. Someone who is ill will appreciate that so much. It is little things like that, that are huge to a person that is sick. Stop by with an already made dinner, or offer to give their kids rides to school. Things like this help tremendously. Just don’t ask. People don’t want to feel like a burden and it is hard to swallow your pride and admit you need help. 3. Support their diet~ Sometimes to someone who isn’t sick, diets of those who are might seem extreme. Trust them that there are reasons for them to eat how they do. Remember it is hard for them too. I’m sure they would rather be eating a chocolate chip cookie then a salad with gluten free dressing, but certain foods triggers inflammatory responses or allergic reactions. So understand that they have certain dietary needs and support them. 4. Support their treatment~ This is another time when you just need to support, and not judge or try to give advice. When a person becomes chronically ill, they have ample time to research and learn about their disease. They will know all the treatments, join all the support groups and hear all the advice out there being given on there specific disease. 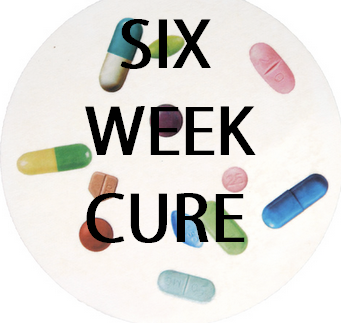 When you see an ad in the back of some magazine that says, “(blah blah blah) cures this disease in six weeks, dont’ clip it out and give it to them. If it sounds to good to be true, it is. 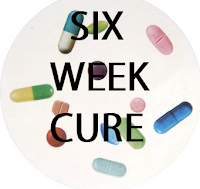 When you are chronically ill, it is because there is no cure. So all a person can do is try different treatments to find what works for them. There will be no easy answer and each person will respond differently to each treatment. Just because your cousin Jack got cured in five weeks from something doesn’t mean the next person will. 5. Don’t Invalidate~ When someone says they are in pain, they are in pain. It doesn’t matter that they “look” fine. There is no official face for pain. If they are moving slow, then let them take their time. Just because one day they had a “good” moment, doesn’t mean they are fine now. With chronic illness symptoms wax and wain. One day might not be as bad, or above baseline, and they might be able to work out in the garden for an hour. This does not mean that at the drop of a hat they can go out to eat or do the dishes. When you are ill you learn to take the moment at is comes or to live “five minutes at a time.” So try not to compare days or activites. The person is not faking. It is normal for a chronically ill person to have good times and bad times. Most likely their “good” times might land a normal person in the hospital, but they have learned to live around their symptoms and not panic anymore at certain aches and pain or strange neurological symptoms.